Song Koo Lee owns and operates the K&D Market in San Francisco's Mission District. He does not own the building, but has operated the market since 1985. Les Jankey, a wheelchair user, sued Lee for denying him and other similarly-situated disabled persons access to the full and equal enjoyment of the goods and services offered by K&D Market. Jankey claimed that a four-inch step located at the entry of the market was an architectural barrier that prevented him and other wheelchair-bound individuals from wheeling into the store, asserting violations of the federal ADA, the Unruh Civil Rights Act, the Disabled Persons Act, and the Health and Safety Code. The trial court granted Lee summary judgment, finding that K&D had a threshold step, but that Lee conclusively established as an affirmative defense that removal of the barrier was not readily achievable. Thus, he was entitled to judgment on Jankey's claims. The trial court concluded that fees for a prevailing defendant were mandatory under California Civil Code section 55, and awarded Lee $118,458. The California Supreme Court upheld that award this week. 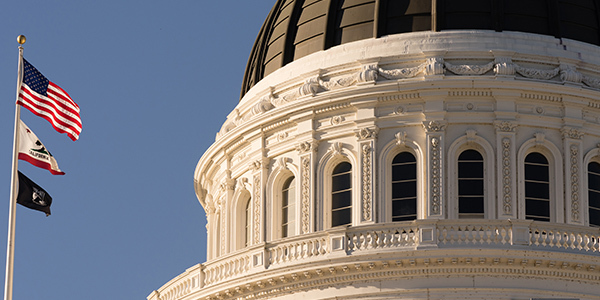 In his appeal, Jankey argued that the ADA preempts California's mandatory fees provision insofar as the state law affords prevailing defendants a broader entitlement to recovery of attorney's fees than would federal law. The ADA allows defendants fees only for responding to frivolous claims, and makes fee recovery discretionary. The California Supreme Court disagreed. Writing for the unanimous court, Justice Kathryn Werdegar noted, "We have found no indication in the ADA or its legislative history that Congress intended state fees for overlapping state claims to be foreclosed, nor, as discussed in connection with obstacle preemption, are we able to discern any policy that would be impaired. Likewise, we have found nothing in the text or sparse legislative history of section 55 to indicate fee recovery should be limited as a matter of state law based on overlap with federal remedies. Accordingly, we decline to read state law as limiting an award of section 55 fees on this basis."